Interview with the new fellow joined, Ms Beatrice Kizi Nzovu. I am a peace worker from Kenya, a young dynamic African woman and I hold a degree of Master of Arts in Peace Studies and Conflict Transformation and a Bachelor of Arts (Hons.) in Sociology. I am a trained and certified Peer Counsellor as well as a Facilitator on Gender mainstreaming and gender frameworks. My major skills are in Proposal, Monitoring and Evaluation, Report Writing, Research and Marketing and initiation of community based projects. I was working for an organisation called Peace and Development Network in Kenya as a Programme Officer (Training and Capacity Building). I was also in-charge of the gender programme in the organization, from where I have taken leave for 1 year to do this prestigious fellowship. 2. Where did you hear about Dr. Wanjiru Kihoro Fellowship? I heard about Dr. Wanjiru Kihoro Fellowship from my colleague at work and was keen to apply as FAS would enhance my skills in engendered peace research that would contribute to my follow up actions particularly in Africa. 3. What motivated you to join FAS? I was motivated to join FAS, as this organization is actively involved in strengthening the leadership capacities of grassroots women for more effective participation in conflict resolution, peace building and decision-making and also to strengthen women's influence on political processes and promote gender mainstreaming in peace and security programmes at the national, regional and international level. This compliments my experience and my desire of learning. And I will be able to better learn how to ensure that women are brought on board in all peace building processes and activities right from the conceptual level, taking into consideration that Africa is mainly a patriarchal society particularly when it comes to issues of resolution of violent conflicts. 4. What do you feel about this opportunity by FAS? 5. What is you current project at FAS? My current project is the finalization of the last 10 years evaluation study at FAS. I look forward to other projects coming up in my tenure of fellowship. 6. How do you plan to use the experience gained at FAS? I hope to utilise the new skills that I acquire in the fellowship in the best possible way and learn how to use the various UN resolutions, declarations and other documents to push for the gender agenda. Enhance my capacities in monitoring of the systems within states that are signatory; this would give me a chance to evaluate if the documents actually become enforceable realities. Learn from the experiences and activities of FAS over the years in enhancing women's representation in decision making particularly in violent conflict and post-conflict situations. Benefit from the various FAS members and member organizations and members of staff experience and knowledge. I would also like to influence Government to involve women in decision-making processes and at the same time would like to guide the interested women personnel to achieve their place among the Government, who are not aware of the right trail. I would also like to see FAS working with Peace and Development Network in Kenya, one day. 7. You worked as a Prog. Officer in Peace and Development Network in Kenya, how do you correlate working there and at FAS? 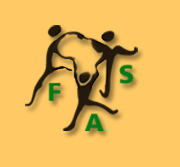 I find FAS and Peace and Development Network, are closely related in their vision and mission. However, FAS is working to advocate the concerns of African women on issues of peace and security not only at the national but also at regional and international levels. 8. What do you expect at the end of the fellowship? - To gain knowledge on how to ensure that women are more aware of their role during conflict but more importantly in conflict prevention, management, resolution and transformation. - To reinforce the leadership capacities of grassroots women in conflict resolution, peace building and decision-making. - To emphasize women's initiatives, capacities and right to participate equally to restore and maintain peace in their countries. - To help women seek a new social recognition that guarantees women equal opportunity to participate in decision-making process. This Fellowship is just a beginning for me and my dreams, for all that I want to accomplish for my country and my continent. 9. What do you feel about the selection process of the fellow candidate? Did you find it transparent? I feel that the selection process was fair and absolutely transparent. As I have mentioned earlier that I heard about the fellowship from my colleague in Kenya, so I didn't know anybody in the selection committee or in FAS, prior to my selection. After my interview, reference checks were made. I further feel that as it is an open and just selection process, it makes it easier for the qualified and experienced candidate to have the opportunity to win the fellowship. The selection is completely based on qualification, merit and experience. The selection committee panel makes it more accountable. 10. Would you recommend this fellowship to others, why and how? Yes, I would definitely recommend it to the suitable candidates I know or would know in future. I would do it because the fellowship is an immense learning opportunity, with international exposure, one that complements gender agenda principles, which is my guiding ideology and it is the best platform to enter into fully working gender intervention frameworks especially in Africa. This is a mind-opener and enriching experience for me. The fellowship at FAS gives me an opportunity to work with people from different countries and culture; it has a very helpful and amiable working environment. This is my first time in Geneva for the fellowship, so the office made all the logistical arrangements for me. I was warmly received at the airport by my colleague and the office had already made accommodation arrangements for me. In my briefing, besides the work, important personal understanding about the city was given for instance information on stores and transportation etc. I think the best way to recommend the fellowship would be to let actions speak. It is my sincere hope that my work here and back home in Africa will encourage and motivate others.